Late payment reminders are emails that automatically get sent to your client after their invoices have become overdue. A total of 3 late payment reminders will be emailed when an invoice becomes overdue, and each email will be spread apart by 10 days. 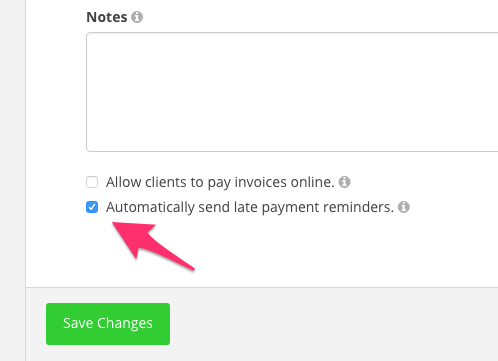 You can make sure your late payment reminders are turned on by default for all new invoices you create by checking the “Automatically send late payment reminders” checkbox on your Invoices Settings screen. You can customize the late payment email by visiting your Emails Settings screen and clicking on the Late Payment Reminder link. 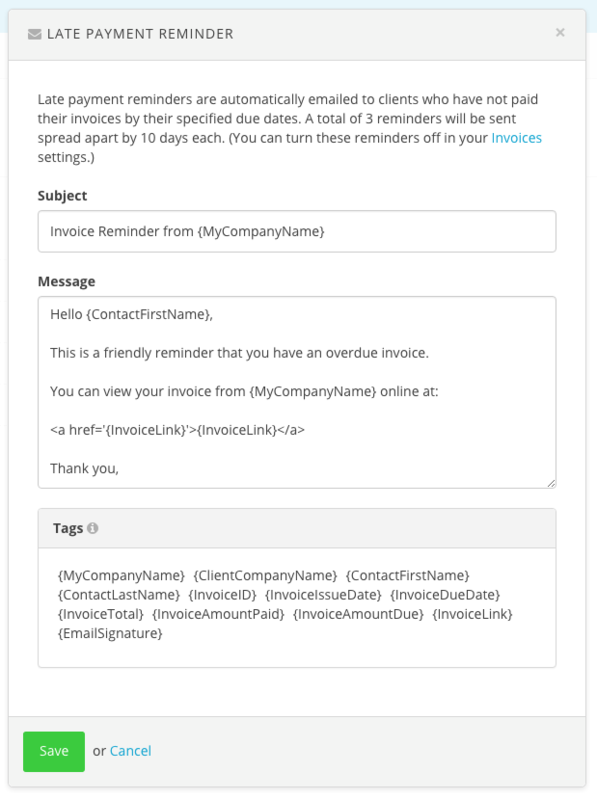 You’ll now be presented with a form allowing you to customize the late payment reminder email subject and message. To learn more about invoicing view the Invoices support articles.